Last year, Flash Forward Festival Boston made it a priority to program accessible art exhibitions in outdoor spaces. 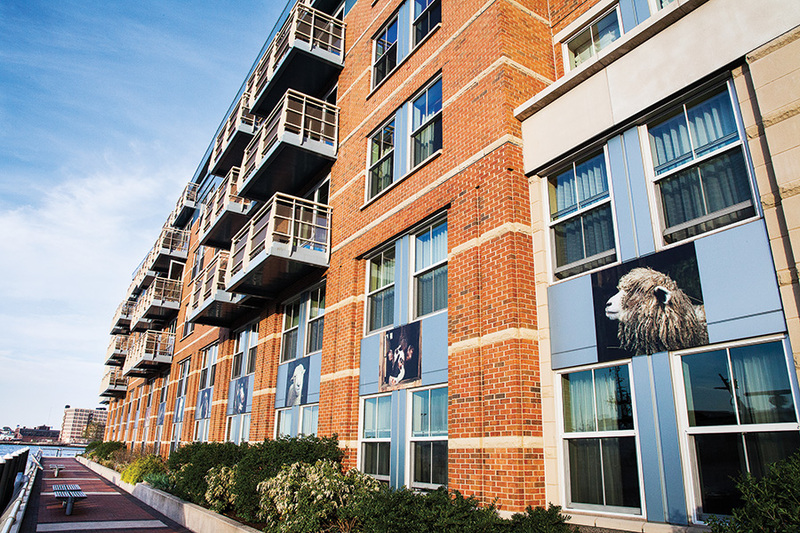 The city’s beautiful Harborwalk was a natural fit for an all-weather installation of contemporary emerging photography, which proved to be very popular with locals and tourists alike. This year, we have claimed additional Harborwalk space to bring even more art to the city of Boston. 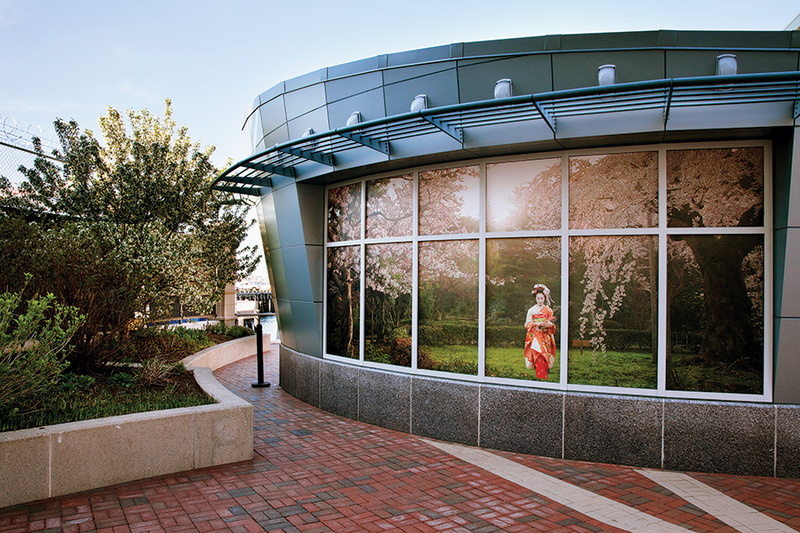 As part of the 2012 Harborwalk installation, visitors can enjoy a specially curated exhibition by enRoute Magazine; photos by Andrew Rowat; the Griffin Museum of Photography presents Fenway Park; and The Magenta Foundation presents Jan von Holleben. Our Harborwalk installations begin at the Fairmont Battery Wharf, the city’s premiere arts destination in Boston’s newest revitalized neighborhood. This Flash Forward Festival, remember to look up, down and all around to enjoy some of the best emerging contemporary photography. And come back again to enjoy these works of art until the end of the summer. I was charged with photographing the ‘texture’ of Barcelona in a dual commission from enRoute and The Magenta Foundation for Flash Forward Festival Boston 2012. Captured in large-format, these photographs bring to life the rich detail of Barcelona and, viewed best from above, people are invited to walk across the photographs. Barcelona has a rich architectural heritage, with Antoni Gaudi leading the charge, but it is also a city that was once known for its textile industry; I wanted to be sure to include these renowned aspects in this project. In recent years, two additional things catch the attention of visitors to this city; there is graffiti everywhere, and Barcelona is football/soccer-mad. The graffiti that greets you at every turn is not like the haphazard tags of 1980s New York, but rather artful murals – a wonderful addition to the canvas of the city. With FC Barcelona one of the top club teams in the world, it’s impossible to deny the impact of the sport on the energy of this city. Camp Nou, home to FC Barcelona, is a cathedral in and of itself playing host to 99,000 fans on game days. I wanted to add these newer elements to the Barcelona story that I’ve tried to tell. These photographs also appear in enRoute magazine, along with contextual information about each image; a Con/Textural pairing. The Griffin Museum presents a photographic celebration of the 100th anniversary of Fenway Park where Boston baseball has been very much a part of its history. Fenway Park includes historical as well as contemporary photographs and ephemera related to the building, the neighborhood, and the people. It is not intended to be a definitive study of the history of Fenway Park, nor does it represent all photographers who have photographed the park in one way or another. It is, rather, a photographic celebration to the spirit of the Boston icon. Crossing the desert on the back of a dog, or searching for lost treasures on the bottom of the ocean. Inspired by classic childhood books as well as modern superheroes, von Holleben’s photographs make his childhood dreams come true. His focus on the visual representation of childhood, ‘Child-History’ and concepts of ‘Playing’, come from his teacher training and he combines these theories with his personal experience and nostalgic memories of his childhood.